We will be celebrating Maidhyozarem Ghambar (F) on Saturday May 4th at Z.R.C.C. 1187 Burnhamthorpe Rd. East, Oakville. If you plan to attend please give your name to Ervad Nozer Kotwal (905) 820-0461 stating how many adults and/or children, veg. or non-veg., will be attending, a.s.a.p. but not later than May 1st. Zarthost-no-Diso (S) prayers will be held on Friday May 24th at 7:00 pm at Z.R.C.C. 1187 Burnhamthorpe Rd. East, Oakville, followed by chasni. We will be celebrating Maidhyoshem Ghambar (F) on Monday July 1st at Z.R.C.C. 1187 Burnhamthorpe Rd. East, Oakville. If you plan to attend please give your name to Ervad Nozer Kotwal (905) 820-0461 stating how many adults and/or children, veg. or non-veg., will be attending, a.s.a.p. but not later than June 27th. Shenshai Muktad ceremonies will be held at ZRCC, 1187 Burnhamthorpe Rd. East, Oakville, from Aug 12th to Aug 16th. Donation of fruits, dry fruits, flowers, Sukhad, Loban, Tachho, etc. is always welcomed. If you wish to sponsor a meal and/or donate food e.g. Malido, Papri, Bhakhra, Puri, Batasa etc. please contact Armaity Anandasagar at (905) 271-0366 or Jeroo Madan at jeroomadan@hotmail.com. Navroze Jashan will be held on Saturday August 17th at 11:00 am at Z.R.C.C. 1187 Burnhamthorpe Rd. East, Oakville, followed by lunch. The lunch is organized by the Entertainment Committee. Details to follow closer to the event. Khordad Sal Jashan will be held on Thursday August 22nd at 7:00 pm at Z.R.C.C. 1187 Burnhamthorpe Rd. East, Oakville, followed by Chasni. Farvardegan prayers will be held on Wednesday September 4th at 7:00 pm at Z.R.C.C. 1187 Burnhamthorpe Rd. East, Oakville, followed by Chasni. Prayers for Dasturji Kookadaroo Baj will be held on Thursday September 5th at Z.R.C.C. 1187 Burnhamthorpe Rd. East, Oakville. The Jashan will commence at 7:00 pm followed by dinner. The cost of attending the Baj & dinner is $5.00 per person; children up to the age of 20 years are free. If you plan to attend please give your name to Ervad Nozer Kotwal (905) 820-0461 stating how many adults and/or children, veg. or non-veg., will be attending, a.s.a.p. but not later than September 2nd. If you and/or your friends wish to sponsor this Baj & dinner or any other religious event in the future please let Ervad Kotwal know. We will be celebrating Paitishahem Ghambar (F) on Saturday September 14th at Z.R.C.C. 1187 Burnhamthorpe Rd. East, Oakville. The Ghambar Jashan will commence at 11:00 am followed by lunch. The cost of attending the Jashan & lunch is $5.00 per person; children up to the age of 20 years are free. If you plan to attend please give your name to Ervad Nozer Kotwal (905) 820-0461 stating how many adults and/or children, veg. or non-veg., will be attending, a.s.a.p. but not later than September 11th. 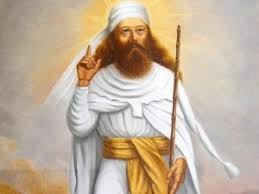 We will be celebrating Ayathrem Ghambar (F) on Saturday October 12th at Z.R.C.C. 1187 Burnhamthorpe Rd. East, Oakville. The Ghambar Jashan will commence at 11:00 am followed by lunch. The cost of attending the Jashan & lunch is $5.00 per person; children up to the age of 20 years are free. If you plan to attend please give your name to Ervad Nozer Kotwal (905) 820-0461 stating how many adults and/or children, veg. or non-veg., will be attending, a.s.a.p. but not later than October 9th. Zarthost-no-Diso (F) prayers will be held on Thursday December 26th at 11:00 am at Z.R.C.C. 1187 Burnhamthorpe Rd. East, Oakville, followed by Chasni. We will be celebrating Maidhyarem Ghambar (F) on Wednesday January 1st at Z.R.C.C. 1187 Burnhamthorpe Rd. East, Oakville. The Ghambar Jashan will commence at 11:00 am followed by lunch. The cost of attending the Jashan & lunch is $5.00 per person; children up to the age of 20 years are free. If you plan to attend please give your name to Ervad Nozer Kotwal (905) 820-0461 stating how many adults and/or children, veg. or non-veg., will be attending, a.s.a.p. but not later than Dec 28th. 11 Feb 2017 Asha Vahishta Seminar/Colloquium #3 "Is Zoroastrianism a Team Sport"?